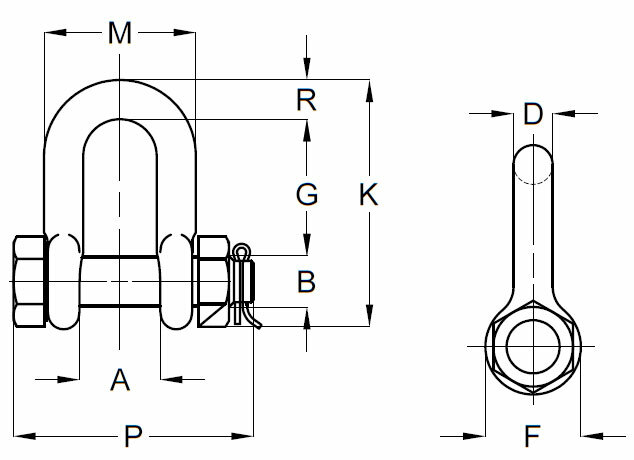 Bolt Type Chain Shackles - Elite Sales Inc.
Nominal Shackle Size (in) Weight Per Piece in LBS Working Load Limit (tons) Dimensions (in.) Part No. Hot dip galvanized forged steel. Quenched and tempered, with alloy pin.